The Peoples Democratic Party and former President Olusegun Obasanjo have been accused of allegedly planning to Kill Nigeria, the allegation was placed forward by the former Senate President, Ameh Ebute. Ebute who stated this during a press conference in Abuja claimed that the union between Obasanjo and the leadership of PDP is driven at unsettling and killing Nigeria. 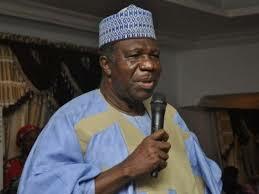 Ebute, who leads the Congress for Patriotic Citizens (CPC), therefore, called on Nigerians to rise up to what he described as the challenge of confronting and subduing unpatriotic, corrupt and selfish past political office holders like Chief Obasanjo in order to save Nigeria from total collapse. We have no hesitation to boldly assert that it is unfortunate to understand, the alliance to kill Nigeria is spearheaded and supervised by no less a personality but Chief Olusegun Obasanjo, an elder statesman, former Military Head of State and democratic President of Nigeria. He is one person who has been so privileged to lead this country twice in his lifetime. Outside Chief Obasanjo, it is the incumbent, President Buhari. Other leaders of Nigeria since independence are not this privileged or so blessed. So, if today any one of us finds a reason to complain that we are yet to nurture a nation we truly desire and to the maturity, our founding fathers dreamt, a leader who should take the double blame is Chief Obasanjo. Why? Because leadership fell on him at Nigeria’s most auspicious moments. But we saw nothing he did wonderfully! To the best of our knowledge, Chief Obasanjo abused every opportunity he had to set Nigeria on a speedy and progressive path. His leadership years are ingloriously recounted by Nigerians with disdain and contempt for his personality. On the reverse, ordinary Nigerians recall fondly and gleefully President Buhari’s leadership of Nigeria at every era as attested now. We find it completely distasteful, Obasanjo’s present gang-up and conspiracy against Nigeria. What OBJ and co have planned is beyond imagination. Every word of Obasanjo from his first open letter to the last smacks of a shameful and dishonourable outing from an elder statesman. We cannot understand Obasanjo anymore. We do not know what he implies when he accuses INEC of “recruiting collation officers who are already awarding results based on their projects to actualise the perpetuation agenda in which the people will not matter and the votes will not count.” As former President of Nigeria, isn’t this statement too fluid? Even if Chief Obasanjo hates Buhari, hatchet jobs like this one as contained in his recent letter should be left for his ‘boys.’ Even the loquacious Femi Fani Kayode or Tony Omokri cannot abuse their already battered reputation in public in this disgraceful manner. Chief Obasanjo, in your days in Nigeria’s Aso Rock, you crushed every opposition so brutally and unlawfully even where the Constitution protected your “enemies” with immunity. Now, you delight in assailing President Buhari on every issue, including his refusal to sign the flawed, revised Electoral Reform Bill into law. We know, if you were still the President of Nigeria, you would have organized the impeachment process of the National Assembly leadership by now and even, initiated the recall process of some of them. Buhari is a national leader far beyond your temperament. Again, Obasanjo thinks by psyching and inciting Nigerians prophetically with predictions of elections violence, it makes little sense to Nigerians. Maybe, he has forgotten his records when he controlled power in Nigeria. But we still remember Obasanjo abused democratic decency or introduced violence into the political firmament of Nigeria and through the same PDP. In good conscience and as a Christian, can Obasanjo deny, he never opened the vaults of CBN at midnights to sponsor such evil missions? Buhari will never do it! Therefore, talking about President Buhari having a cabal which runs his government for him is childish. Obasanjo, as sitting President, had an inner or kitchen cabinet, what he now embellish as a cabal. We don’t want to embarrass anybody by publishing names. Every President in the world has this think- tank whom he consults on sensitive national issues. Where is Buhari’s fault? And contrary to his predictions on Buhari’s frailty and inability to personally traverse Nigeria to campaign for reelection, he has done it himself displaying his vitality by covering two states in the federation on each day he goes out on campaigns. He didn’t abdicate his responsibility to any “Jagaban.” And Mr President has covered all the 36 states in the federation, including the FCT, unlike Obasanjo’s preferred candidate, Alhaji Atiku Abubakar. Frankly, Obasanjo’s poisoned mind and naivety of the operations of INEC, coupled with the unholy alliance he has struck with PDP cannot fly. We urge Nigerians to rise up to the challenge of confronting and subduing unpatriotic, corrupt and selfish past political office holders like Chief Obasanjo in order to save Nigeria from total collapse. We have more faith in the progress of Nigeria under a Buhari Presidency than an Atiku. We have sighted progress and national development under a patriotic leader and nationalist like President Buhari. There is no way Obasanjo can publicly announce his retirement in politics and sneak back through the back door in an unholy alliance with dark forces to destroy Nigeria. Like Gen. Bulbwa Marwa (rtd) did by rallying nearly 100 retired Military Generals in support of President Buhari, we shall also assemble all elder statesmen across the country to come to the rescue of Nigeria, bearing in mind that selfish individuals like Obasanjo or any political party or group of persons don’t own Nigeria. All Nigerian citizens must wake up to uphold the virtues of leaders who can stand for the country like Buhari.